Practice makes perfect. Bart’s ads are on television constantly. 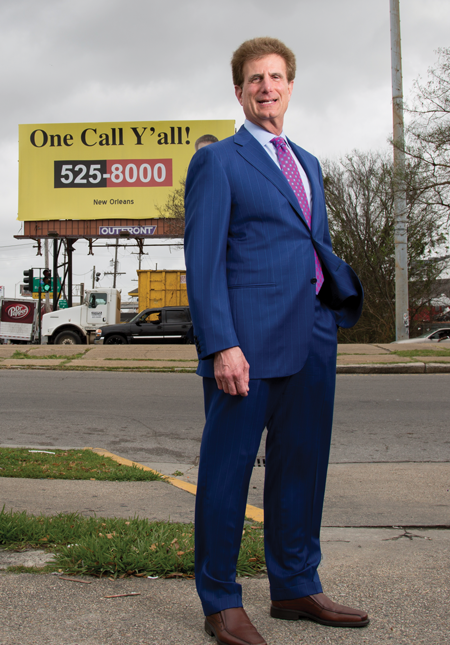 Billboards with his face, phone number and websiteare displayed prominently on highways throughout Louisiana and the other markets he’s entered. He has a website that features a 24-hour hotline and live chat options for clients to reach an attorney at any hour of any day. He has a YouTube channel and a Facebook page that contain numerous web-exclusive videos and testimonials. He even has a catchphrase (“One call, that’s all!”) that he’s been able to adjust seamlessly for the web (“One click, that’s it!”). Bart, who spends about $1 million per month on TV spots, was able to parlay this story into tons of free advertising for him and his firm. The story got picked up by major outlets such as the Wall Street Journal, BuzzFeed and Peoplemagazine. TV host Jimmy Kimmel surprised the mother and child with a visit from Bart at their home. All that has led to lawyers opening up their checkbooks and spending big bucks to be on TV and in print, and to maintain an active web and social media presence. According to Oct. 31, 2016, figures from Kantar Media’s Campaign Media Analysis Group, lawyers, law firms and legal-service providers spent $770,598,900 on television ads in 2016. The CMAG also predicted that $924 million would be spent by the end of the year based on the current monthly average. Jayne Reardon. Photo Courtesy of Jayne Reardon. For paid Google keyword search terms—which advertisers buy to have ads appear after the terms are plugged into a Google search—a 2015 study by the CMAG and the U.S. Chamber of Commerce Institute for Legal Reform found nine out of the top 10 and 23 of the top 25 were legal terms. The most expensive terms were “San Antonio car wreck attorney” at $670, “accident attorney Riverside CA” at $626, and “personal injury attorney Colorado” at $553. Historically, the idea that a lawyer would market his or her practice to the general public was seen as unseemly and unprofessional. It also was unethical. In 1908, the ABA adopted as part of its Canons of Professional Ethics a blanket prohibition against advertising and solicitation. Some limited exceptions existed—lawyers could have listings in telephone directories, and could communicate with friends, family and clients. The canon tolerated business cards but held open the possibility that they could be scrutinized by local bar officials by calling them “not per se improper.” Lawyers weren’t allowed to solicit business through fliers or ads, and the prohibition even extended to indirect forms of advertising, such as commenting on newspaper articles. Everything changed in 1977 when the Supreme Court handed down its decision in Bates. The court found that prohibitions on lawyer advertising violated the First Amendment. Moreover, the court simply saw such bans as anachronistic and unnecessary to maintain the integrity of the bar. Blackmun found that the absence of lawyer ads hurt the legal profession, holding that “the absence of advertising may be seen to reflect the profession’s failure to reach out and serve the community,” and that many people in need of legal services do not contact an attorney because they worry about pricing or finding a competent lawyer. Almost immediately after that ruling, lawyers started to make up for lost time. Advertising company Group Matrix signed up its first law client one day later. Others followed, and Group Matrix made so much money off the legal industry that it discontinued its work in other industries to focus on attorneys. According to its website, Group Matrix produces more than 400 lawyer commercials for television each year and boasts that more than 35 million people see its attorney ads per day. Bart was one of Group Matrix’s early clients. Overseeing an ad campaign can be a full-time job that doesn’t leave much time for lawyering. So some law firms have become, first and foremost, marketers. Take Sokolove Law in Chestnut Hill, Massachusetts, for example. Attorney Jim Sokolove founded the firm out of the ashes of his previous firm, which split up after accumulating massive debts. It was 1982, and Sokolove needed a way to make some money and raise his profile in Boston. He was intrigued by television. According to a 2009 article in Boston magazine, Sokolove spoke with Bates & O’Steen, the Phoenix firm that had brought the original Bates lawsuit, and Jacoby & Meyers in Los Angeles, which had run the first nationally televised legal ad. According to the 2009 story, Sokolove received some pushback for his ad from the legal community (one prominent Boston litigator called lawyer advertising “degrading” and criticized Sokolove for lowering himself). But he also received a lot a business. Pretty soon, Sokolove Law had so many phone calls that they couldn’t handle all the cases. He started to send them to other attorneys in exchange for 10 percent of all fees. As the story pointed out, Sokolove hadn’t tried a case in about three decades. Sokolove retired in 2013, but his law firm continues to spend big on advertising. According to CEO Michael Skoler, the practice spends about $30 million to $40 million per year on advertising. Morris Bart says he used to be awkward and nervous on camera. “It took something like 15 takes to get it right.” Photograph by Kathy Anderson. The Kantar Media study ranked the firm fifth in terms of projected TV spending in 2015, behind AkinMears, Morgan & Morgan, Pulaski & Middleman and LegalZoom. But Skoler is quick to point out that less than half its total spending goes to TV. The spending is about 45 percent on TV, 45 percent on internet and 10 percent on other outlets such as social media or print. Sokolove Law has an analytics group that determines which ads are working and how many phone calls become clients. “Every commercial we run has a unique phone number,” Skoler says. “We want to know exactly what works and what doesn’t, so we can buy-manage” to determine what ads are getting the best results. Still, Skoler thinks his firm has it down to a science, so much so that it has chosen to export its advertising capabilities. In 2011, the firm spun off its own in-house ad agency to create d50 Media. Although Skoler says marketing is Sokolove Law’s core business, he objects to the notion that the firm functions as a referral service. He says the firm maintains a co-counsel relationship on all its cases, and that it continues to work with clients and get information from them while the case is ongoing. On the one hand, it might be hard to tell where Fort Worth, Texas, criminal defense lawyer Bryan E. Wilson ends and his alter ego, the Texas Law Hawk, begins. Wilson plays the role with confidence, yelling out his name and moniker with relish as he rides his motorcycle while surrounded by enough U.S. flags to make Evel Knievel blush. His series of viral videos depicts him riding into crime scenes, where he informs the accused of their rights and stops overzealous police officers from abusing their authority. He screams “Bryan Wilson, the Texas Law Hawk!” and you can hear eagles screeching—a lot. 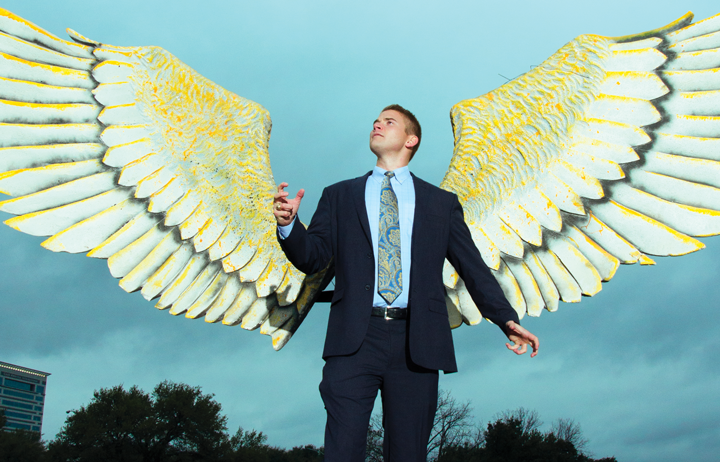 Bryan Wilson utilizes his alter ego, the Texas Law Hawk, to attract new business. Photograph by Danny Duran. On the other hand, he always draws a clear distinction between his marketing persona and his professional abilities. At the end of each video, he speaks into the camera in a serious tone and encourages viewers to call him if they’ve been arrested. When Wilson started his law firm, he decided to center his marketing campaign around the nickname. Without access to a large budget, he called his friends to help him brainstorm and film his admittedly outlandish videos. An ad released last June also was his most expensive, with a budget of $4,000 to $5,000. Well, riding a personal watercraft off a ramp usually will inflate anyone’s budget. “I really don’t rely on conventional advertising,” Wilson says. “I have a website, and I do the videos. Other than that, I just ask people to share my videos if they think they’re funny.” One of his ads has topped more than 1.8 million views on YouTube and helped Wilson land a local Super Bowl commercial in which he endorsed Taco Bell in 2016. The foreman spoke up, Wilson says, and said the ads were hilarious. The best part for Wilson? The jury acquitted his client on a DWI case. 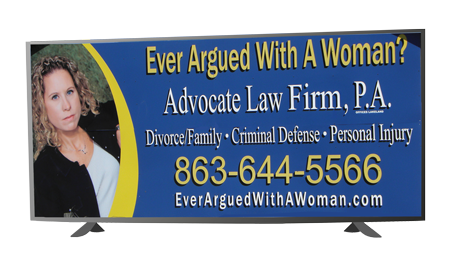 In another unconventional ad campaign, several female lawyers have embraced the slogan “Ever Argued with a Woman?” as a means to demonstrate their zealousness and effectiveness as advocates. Wilson says she hasn’t received much negative feedback from the ad campaign, which mainly consisted of billboards and social media, and claims it has been a boon for business. However, during a November 2014 episode of @Midnight, which airs on Comedy Central, several comedians made fun of the ad. “I didn’t know women could also be sexist towards women,” show host Chris Hardwick quipped. Meanwhile, the phrase proved to be successful enough for others to use it in their ad campaigns (unlawfully, Wilson claims—she trademarked the phrase and currently is considering her legal options against others who have used it). Reardon of the ABA professionalism committee sees these unconventional ads aimed at attracting regular people rather than landing sophisticated clients. “Many people say these types of ads undermine the integrity of our profession, and I get that,” Reardon says. However, she says it’s not really up to her and others in her position to judge ads based on their personal tastes. To that end, she thinks the June 2015 proposal (PDF) from the Association of Professional Responsibility Lawyers to simplify and streamline the ABA Model Rules of Professional Conduct as they relate to lawyers who advertise is a good starting point. The proposal deletes several rules, including provisions that relate to font size and letterheads, while emphasizing that the standard for advertisements is that they should not be false or misleading. It received a mixed response at a forum during the ABA Midyear Meeting in February. Written comments were accepted through March 1. Perhaps the most difficult way to advertise is the route Bill Marler has taken. 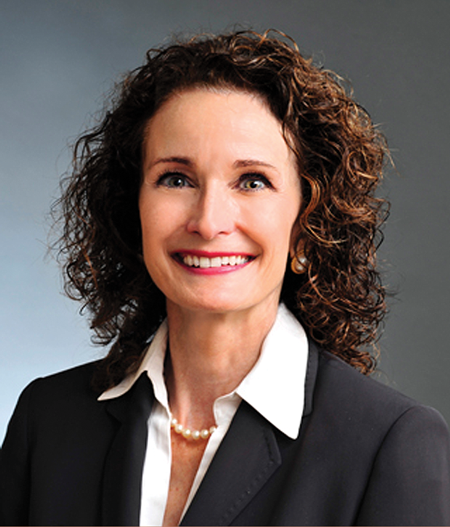 Marler, managing partner at Marler Clark in Seattle, spends almost no money on TV or web ads. He’s put out some ads on local public radio, but he considers that to be his donation to the arts. The Marler Blog is one of his primary marketing tools, but it’s not his main form for advertising. Instead, Marler has adhered to the philosophy that many in the legal industry have long held: A track record of success is the best form of advertising. Since 1993, when an E. coli outbreak at Jack in the Box restaurants infected more than 700 customers in four states (the outbreak led to 171 hospitalizations and four deaths), news coverage helped Marler establish himself as the foremost food-safety lawyer in the country. He says lawyers in Seattle weren’t really advertising then, so the free publicity from the Jack in the Box cases caused his caseload to expand from one client to several hundred very quickly. Once those cases wrapped up, another one popped up, and Marler realized that he could make a practice out of food-safety law. Nowadays, Marler says, it’s common for him to handle the vast majority of cases in any given class action lawsuit relating to a food-poisoning outbreak. In 2011, for example, Marler handled 51 out of approximately 60 claims that dealt with a listeria outbreak from certain brands of cantaloupes. Marler says that about half his work comes from referrals. “They usually come from people reading about us in a newspaper or magazine, or seeing us on TV,” he says. The blog helps reaffirm Marler’s credentials while providing important information to the public. 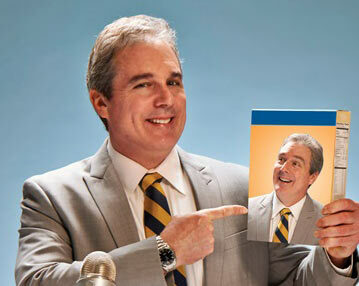 When it comes to lawyer advertising, Group Matrix CEO Sackett figures he’s seen it all. After all, he was there from the beginning, helping usher in the “age of advertising” to a profession that, until Bates, regarded marketing as dishonorable. He still sees some remnants of that anachronistic attitude. Like all legal advertising, Group Matrix’s ads must be cleared by the local bar association for each particular market where they will run. Sackett notes that Bates classified lawyer advertising as commercial free speech, and that such speech can be restricted but not censored. “I’ve found that some states have very strict restrictions that were really just veiled attempts at eliminating or censoring legal advertising,” Sackett says. Among the things he’s seen shot down over the years are a talking dog ad—rejected because the dog didn’t identify himself as a nonlawyer—and an ad that takes place in outer space because it wasn’t realistic. To Sackett, those types of restrictions should become less onerous over time. But there’s a flip side. Sackett says lawyers and law firms have started to attack one another directly, using their ads to talk about how much better their services are compared to their competitors. 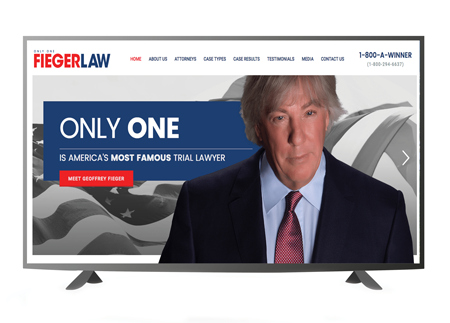 The Fieger Law Firm, a personal injury practice based in Southfield, Michigan, made waves last February when it released an ad that distinguished the firm’s lead attorney, Geoffrey Fieger, from his competitors in Detroit, mentioning some by name. Fieger stands behind his ads and says he’s been doing them for years. Perhaps it’s the politician in him—he won the 1998 Democratic nomination for Michigan governor but lost to the incumbent, John Engler. To Sackett, these types of ads soon will become more commonplace. He calls this phenomenon “the Trump effect,” explaining that, similar to how President Donald J. Trump has lowered the level of public discourse by making crude language and personal attacks permissible, lawyers soon will follow suit. Kantar Media’s CMAG agrees with Sackett, estimating a 300 percent jump from 2015 to 2016 in so-called negative ads about a lawyer’s or a law firm’s competitors. Ultimately, Sackett thinks that legislatures might have to step in—especially if bar regulators cannot maintain the dignity of the profession.